Many cases of water damage in homes and buildings are caused by inclement weather such as rain, floods, and even humidity. When wet weather conditions are imminent, homeowners will take actions to prevent seepage and indoor flooding. While it is important to protect your home from rain and flooding, you cannot forget about the other common causes of water damage that can happen at any time. The plumbing system is one potential source of water damage as fixtures like sinks and toilets may overflow or leak. The pipes may spring a leak as well or burst due to ice or general wear and tear. There are also several large appliances that could leak and cause water damage including water heaters, washing machines, and dishwashers. Fortunately, it is easier to prevent water damage from plumbing fixtures and appliances than from severe weather or flooding. If you check your plumbing fixtures, pipes, and appliances regularly for signs of damage or leaks, you can prevent widespread water damage that will result in expensive restoration services. The following tips will help you prevent this type of water damage. 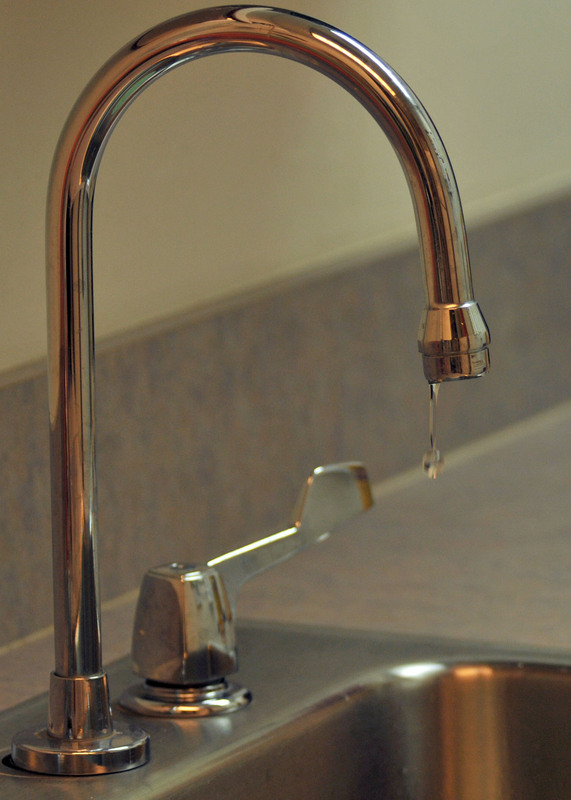 Leaking faucets can lead to major water damage. A lot of water passes through your shower, bathtub, sinks, and toilets on a daily basis. If any of these fixtures are leaking or damaged, you could end up with major water damage in your home. You must inspect the plumbing fixtures in your home regularly so you can find damage or signs of leaks before they lead to widespread water damage or structural issues. Turn on each faucet in your home, including your sinks and bathtub, and look for leaks coming from the faucet or handles. You should check under all sinks as well to make sure there is no water leaking from the bottom. When you check the toilet, look for water leakage around the base and connecting pipes when you flush. If you notice any leaks or damage to your fixtures, call a plumber to help fix or replace them. There are pipes all throughout your home, some of which are in hidden or inaccessible areas. If a pipe bursts or starts leaking, it can cause hundreds of gallons of water to spill into your home within a day. It is very important to check your pipes for damage, loose connections, and wear and tear that could lead to a burst. During the winter, it is also important to check for frozen pipes because frozen water within the pipes will expand and cause a burst. Make sure you check the pipes around the appliances and plumbing fixtures as well. If you notice swelling or discoloration of your walls, this could mean that a pipe behind the wall is leaking. 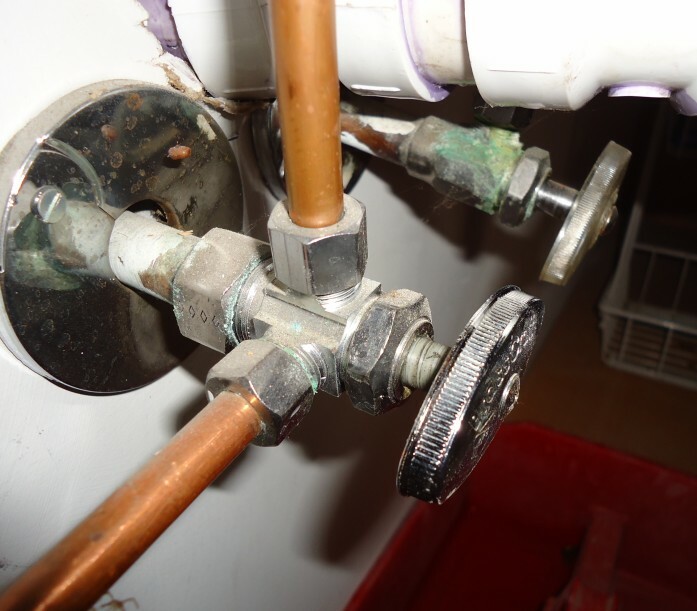 Check valves and connections near fixtures and appliances. Just like with your plumbing fixtures, you should be checking your appliances regularly for leaks. Refrigerators, dishwashers, washing machines, and water heaters are vulnerable to major leaks that can cause damage to the surrounding area. When you check your washing machine and dishwasher, make sure you inspect the hoses. It is a good idea to replace these hoses every 3 years to avoid damage from wear and tear. The high-pressure metal-mesh hoses are the best option for replacements because they are extremely durable. All homeowners should know where the emergency water shut off valve is and how to use it to shut off the water. If one of your appliances or plumbing fixtures suddenly breaks and causes a major leak, shutting off the water is your best option to prevent major damage. It is also a good idea to shut off the water in your home if you will be away for a week or longer. While your plumbing fixtures, pipes, and appliances can cause very serious water damage in your home, you can prevent it from happening with routine checks. If you notice damage to your fixtures or appliances, repair the damage if you can, or call a plumber for assistance. You can take some preventative measures yourself such as replacing broken parts or caulking your bathtub. If you have sustained water damage in your home because of a leaking fixture or appliance, it is best to call a professional for water damage restoration. Water from leaks can slowly get absorbed into the flooring, walls, and ceiling which can lead to considerable structural damage. A water damage restoration professional can dry and restore these materials with advanced drying equipment to help prevent structural damage.